FileLinked app is getting better and better every day. FileLinked has comes long way since it first released as DroidAdmin. Later new name (FileLinked) and new logo came in. There are lots of features bundles with this app. Today I am talking about the Bookmark feature. Because many of you doesn’t know about it some may have and know how to use. This is for you if you still doesn’t use bookmark feature on FileLinked app. Bookmarks are saved by using a name that you can clearly identify when you see it. 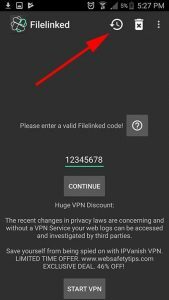 Does bookmark feature in FileLinked app can save FileLinked codes with a desired name. Absolutely yes. You can save any name you want. Once you open the FileLinked app check the upper right corner for bookmark button. By clicking that button you can open your bookmarks. Just click on the name appear just below the FileLinked code and save it with your own name. So you can have list of FileLinked codes with custom name. By giving meaning full names to FileLinked codes make easy to remember what inside. This entry was posted in FileLinked and tagged bookmark, Filelinked, filelinked apk, filelinked app. Bookmark the permalink. 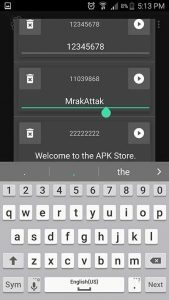 Virus Scanner for Filelinked Apps – Works on Firestick and all Android TV devices.